Ta’ Karolina Restaurant is a family run award winning restaurant. Considered by many as the “best local restaurant” in Gozo. 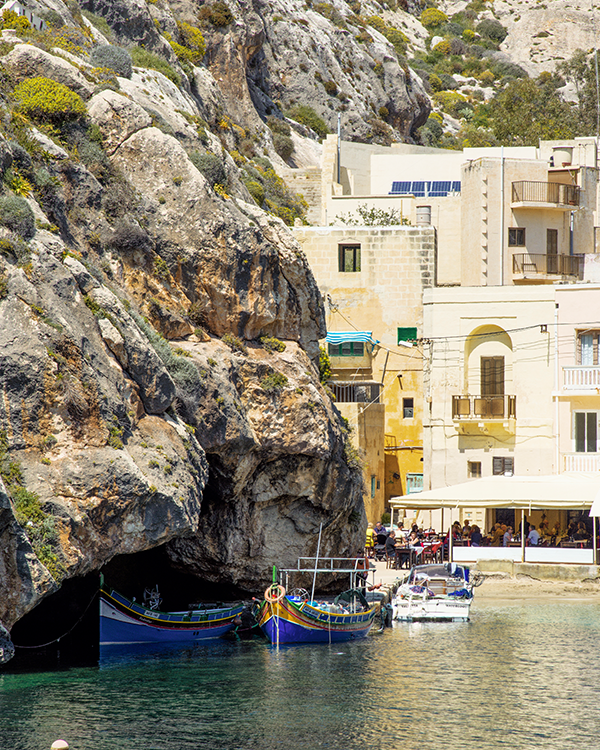 Ta’ Karolina Restaurant is located at the right end side of Xlendi waterfront, just before the steps leading to Karolina Cave. We work hard to consistently offer good food, with a personal touch, while making sure we give you a professional service. We highly advise to book a table to avoid disappointment. The owners of Ta’ Karolina Restaurant, have recently purchased a farmhouse in Xlendi Gozo better known as ‘Ta Giorgino’, which used to be a residence and a popular pub in 1990s. This is a farmhouse located on the cliff’s edge, and it will be converted into a boutique hotel. Having twenty rooms, a cliff edge swimming pool, with all other amenities and finished to great standards. This project shall be open for business by 2017. Karolina Cauchi was a wealthy unmarried woman from Rabat – Victoria Gozo. Considering the time she lived and the fact that she was a woman her strength of will and her ability to persuade an extraordinary goal was astounding. All her life was devoted to her plan; the foundation of a Dominican sisters’ monastery in Gozo. Her dream became reality in 1889. A: Triq l-Ghar ta’ Karolina Xlendi, Gozo, Malta.